Why hello, wonderful London-based and bound readers! There is an incredibly arty, cultural, and generally brilliant event being held at the West Wing Arts Centre in Slough this weekend. 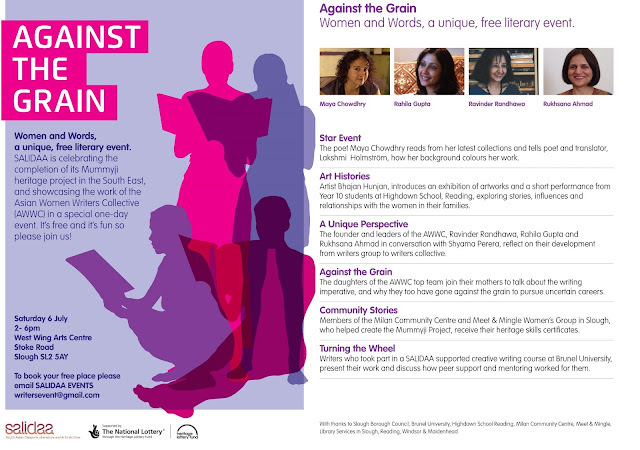 So, if you find yourselves free this Saturday (6th July)﻿, why not head down to the fabulous Salidaa event in showcasing the works of the Asian Women Writers Collective? The event will mark the re-launch of the South Asian Diaspora Literature and Arts Archive with the talented women of the AWWC and National Lottery Heritage Fund, so come along and have some fun! To find out more about Salidaa, head over to Visual Arts Data Service (VADS)﻿ website here.